The Center for States helps public child welfare organizations and professionals build the capacity necessary to strengthen, implement, and sustain effective child welfare practice and achieve better outcomes for children, youth, and families. The Center for States designs products, services, and learning experiences to increase understanding and awareness, and build knowledge and skills. In fiscal year 2018, the Center is focusing its attention on developing products and resources on several core organizational and practice topics. 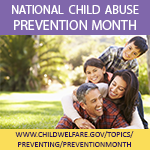 The Center for States offers resources to build capacity for preventing child abuse and strengthening families. Center for States events can help you stay top of the latest developments in child welfare. Discover how you can connect with peers and experts around the country and access practical resources for daily practice! The Center for States provides research assistance and responds to information requests on building capacity in child welfare.